A profound study of the relationship between oneirism, fantasy and myth…Carefully dissects the process of fusing dream images with traditional mythological themes and their transformation into fantastic stories. Maurice Lévy's book is a penetrating analysis of the themes running through the works of H. P. Lovecraft, the writer of horror and supernatural fiction. 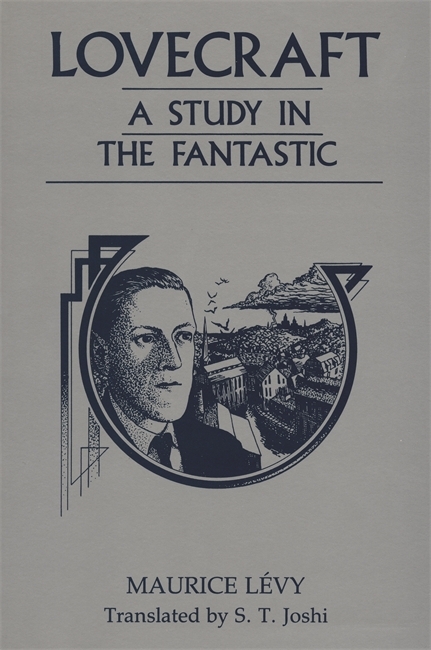 Broader than a thematic study, however, Lévy's analysis is unique in his use of Lovecraft's work as a model for fantastic writing in general and in his provocative theory as to why Lovecraft wrote the sort of works he did. At an early age, Lovecraft sloughed off all religious belief and came to adopt a bleak and nihilistic philosophy where humans have no importance in the cosmos but to serve as the playthings of incomprehensible and uncaring forces. Lévy sees Lovecraft's works as an attempt to purge himself of these feelings and to give himself a reason to love in a universe that cares nothing for him or for other human beings in general. It is this view of Lovecraft the writer, the thinker, and the man that sets Lévy's work apart from any Lovecraft criticism. Maurice Lévy, of the University of Toulouse, is a respected French critic and editor. He is the author of Le Roman "gothique" anglais and Images du roman noir. Translator S. T. Joshi is a managing editor for Chelsea House Publishers. A profound study of the relationship between oneirism, fantasy and myth . . . Carefully dissects the process of fusing dream images with traditional mythological themes and their transformation into fantastic stories.